natalie's sentiments: First step to losing weight....get your hair done. First step to losing weight....get your hair done. Today marks the second week of my weight loss plan. (Down 4 pounds thus far.) Before I started even planning my workout regime, I made a hair appointment. Why you ask? Well, losing weight is hard and it takes a really long time. A great motivator is to do something that improves your appearance instantly. It boosts your self-esteem and makes it easier to show your face at the gym. Some may invest in great workout clothes, I get my hair done. After seeing my last family pic, I knew something needed to be done. A while ago I started asking around to find a new stylist. My last few experiences with my old stylist were just so-so. 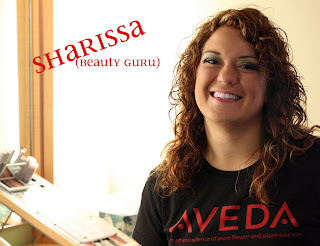 I kept hearing about Sharrisa at Studio 59 so I scheduled an appointment with her. Finding a great stylist is like finding book you love. You want everyone you know to check it out. If you live within 25 miles of Chattanooga you MUST make an appointment at Studio 59. I loved my experience there. My stylist Sharrisa was amazing. I knew it was going to be a good experience as soon as I sat down to discuss my hair was brought hair color samples and an ice cold diet coke. I told Sharrisa I wanted to go closer to my natural color and together we picked out three colors and started to work. While I was waiting for my hair to develop I took a quick tour of the place. I have been to several spas in the area and this is the most inviting. I just wanted to grab one of the fluffy white robes and settle in for their "Euphoria" spa package. Hot Stone Massage, Purifying Facial, Caribbean Mani/Pedi, Shampoo and Style, and Make-up application. Heaven. While I didn't have time for that, the shampoo station was a spa experience in itself, complete with feet rests and a neck massage. The entire visit I felt incredibly pampered. Roses on the tables, nice lighting and stylish decor add to the spa like experience. 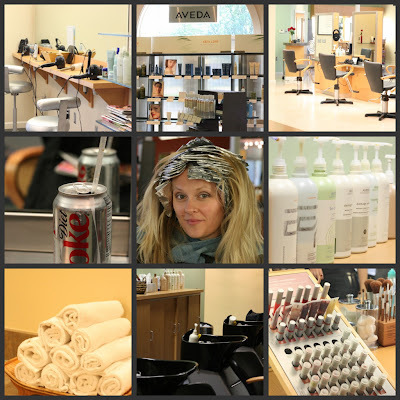 As a huge bonus, all the products at Studio 59 are Aveda and they have a huge Aveda retail section, which is great since I hate spending shipping and handling on something heavy like shampoo. My color and cut turned out perfect. Just what I imagined, only better. 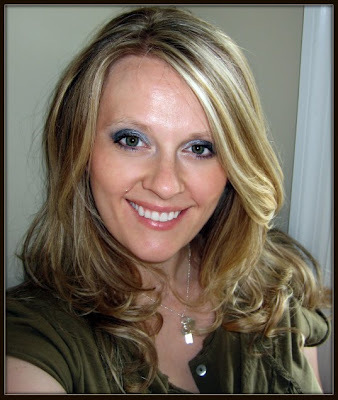 My hair looked so great, I took advantage of their makeup service to complete the look. I left the salon feeling hotter than I have in 6 months. Thanks to Studio 59 for making me feel pretty enough to hit the gym again. Sharrisa, pencil me in every 3 months please. And if you make an appointment, tell them I sent you! What great advice and I love your hair. I love it! I cut 4 and a half inches off my hair this week, and I feel like a new woman! Congrats on the 4 lbs, I hvent weighed in yet! I have heard the Studio 59 is good. Thanks for the tip! I really need my hair done. Is Studio 59 in downtown Chattanooga? No, it is closer to Hamilton Mall. Love the new hair!! You look amazing, as always, of course!